Businesses are starting to feel the impact. After months of speculation on how U.S. tariffs on certain goods from China, the European Union, and other countries might affect U.S. business and the overall economy, more companies are starting to report concrete effects. The picture has come into focus more clearly as companies have issued forward-looking guidance during third-quarter earnings season. The discussions on tariffs have escalated to the C-Suite and board level — both here in Detroit and across the nation. As we work with our clients, we advise that the best strategy is to have a strategy: supply chains do not shift overnight, but there are planning options that can help to mitigate the impact of the tariffs in the short-term as sourcing strategies shift to support longer-term objectives. STEP 1: MEASURE – Obtain your global import and export data and model out the potential impact of current U.S. and non-U.S. retaliatory tariffs. Only by knowing the data can you quantify the potential implications of the tariffs, assess the risks facing your company, and plan accordingly. Once you’ve gathered all the data, assess both the direct and indirect impact on your business, your suppliers, and your customers. Think carefully about who needs to help make these assessments. The list may include not only the C-Suite, supply chain, procurement, logistics, and research and development but also trade compliance, risk, finance, and tax. You should also conduct “what if” modelling to gauge the impact of future trade tariffs or other disruptions. a. Confirm effect – Examine critical elements, such as the affected products’ country of origin and harmonized tariff classification (HTS) to ascertain whether your product is actually subject to the new tariffs (e.g., classified in a HTS category on the list with a country of origin of China). This may seem like Customs 101, but with many of these commodities having been duty-free (0%) in the past, it’s also an area where companies may not have been overly diligent in ensuring the proper classification and/or country of origin. b. Strategic sourcing/manufacturing – Explore strategic supply chain restructuring and manufacturing options. Assess, for example, whether using a different manufacturing operation, making minor changes to the product, or switching suppliers would result in a product’s tariff classification or country of origin changing, potentially removing any tariff impact. Be sure to examine the non-trade impact of the decisions, including logistics costs, transfer pricing ramifications, and tax implications. c. Core trade strategies –Assess and quantify the benefits of core trade strategies such as duty drawback, first sale and foreign trade zones, temporary importation bonds, and bonded warehouses. Many of the programs have been around for years and may provide short- or long-term solutions. STEP 3: IMPLEMENT – Determine which strategies meet your company’s short- and long-term goals. Some programs may serve as stop gaps until or if the tariffs revert back to most-favored-nation tariffs. Others could yield long-term benefits beyond minimizing the impact of the new tariffs. STEP 4: MONITOR – Continue to monitor trade developments and regularly update your “what if” planning so that you can respond quickly to the fast-changing global trade landscape. · Holding supplier workshops to help educate them on options to mitigate the impact of tariffs, with an eye toward creating cost savings that could be passed along to the end-purchaser. · Applying for an exclusion or exemption for imported products affected by the new tariffs with the U.S. Commerce Department or U.S. Trade Representative. · Assessing whether you can pass on the added costs to customers or renegotiate pricing with suppliers. · Strengthening your import compliance programs to confront the challenges posed by both the new tariffs and heightened U.S. Customs and Border Protection scrutiny of goods and services crossing U.S. borders. As the U.S. and its trading partners work to resolve their trade disagreements, one thing is certain: companies that don’t prepare for the various possible outcomes will face significant disruption. 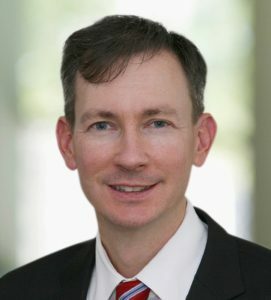 Andy Doornaert is a managing director, tax, at KPMG in downtown Detroit.